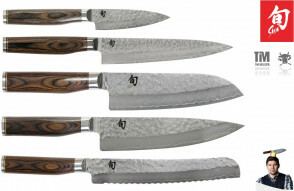 For the Shun Premier Tim Mälzer Series, Kai has developed 6 knives in addition to the anniversary knife. They are made of stainless steel damask in 32 layers. The central part is made of solid VG MAX steel with a hardness of 61 ± 1 HRC. 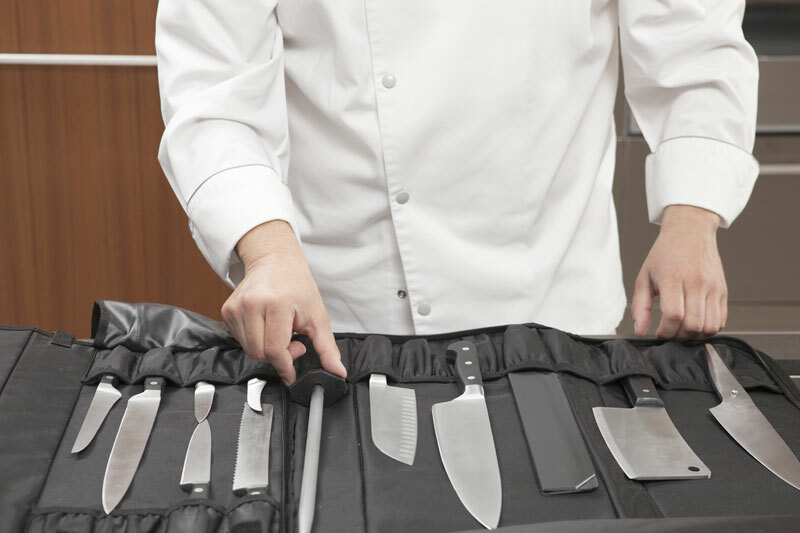 The blade is embellished by a hammered surface, known in Japan with the name Tsuchime that combines unparalleled aesthetic qualities and sharpening. 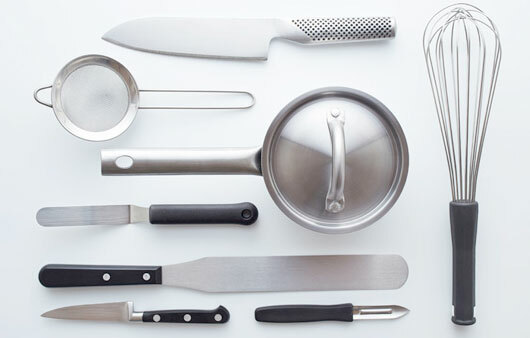 According to Mälzer's statement, "A good knife not only makes the job easier, but also helps you cook better", each of the damask knives produced with the greatest care has been meticulously adapted to the use for which it was created by the masters of the forging of the city of Seki. Thanks to the perfect symmetry of the walnut handle, all the models also ensure a precise cut for both left and right handed users. 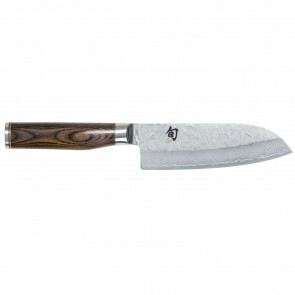 Kai Shun Premier Tim Malzer damascene Chef Knife 15 cm. 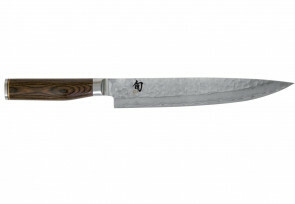 Kai Shun Premier Tim Malzer damascene narrow Carving Knife 24 cm. Kai Shun Premier Tim Malzer damascene narrow Utility Knife 8 cm. 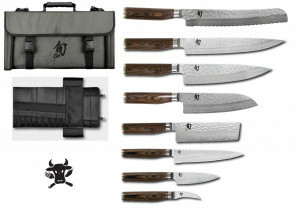 Kai Shun Premier Tim Malzer damascene Santoku Knife 14 cm. 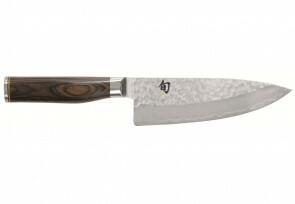 Kai Shun Premier Tim Malzer damascene narrow chef 15 cm. 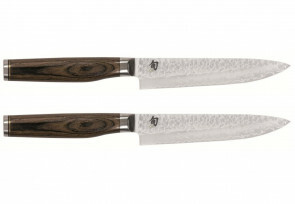 Kai Shun Premier Tim Malzer damascene narrow Santoku 18 cm.